The area now called Rochester Hills was inhabited long before Michigan became a state. The Potawatomi nation once called Rochester Hills home, but relinquished their lands to the government of the Michigan Territory in accordance with the 1807 Treaty of Detroit. From 1835 through 1984, Rochester Hills was known as Avon Township. The approval of a city charter in May 1984 prompted the town’s name change from Avon Charter Township to Rochester Hills. Rochester Hills’ fascinating past is on display at the Van Hoosen Farm Museum, where you can explore the old water-powered mills of Avon Township, uncover the life of Stoney Creek Village in the 19th century, and understand the impact of the Civil War on the greater Rochester area. The Van Hoosen Farm also immerses Rochester Hills residents in more recent history and culture: The “Films in February” series at the Rochester Hills Museum Calf Barn screens movies with Michigan flair. If you’re more of a sports fan than a movie buff, Rochester Hills has almost a thousand acres of parkland set aside for swimming, hiking, fishing, baseball, soccer, cricket, cycling, and countless other athletic activities. For armchair quarterbacks, the town has more than its share of sports heroes, such as Olympic gold medalist Peter Vanderkaay, marathoner Brian Sell, NFL fullback Walt Kowlczyk, tennis pro Amy Frazier, MLB players Jay Gibbons and Shawn Hare, and the Keselowski racing family. NASCAR fans know the importance of vehicles in advertising. Every car you see on the racetrack is covered with the logos and slogans of the driver’s sponsors. NASCAR racing teams use car wraps to colorfully convey the messages of their patrons. 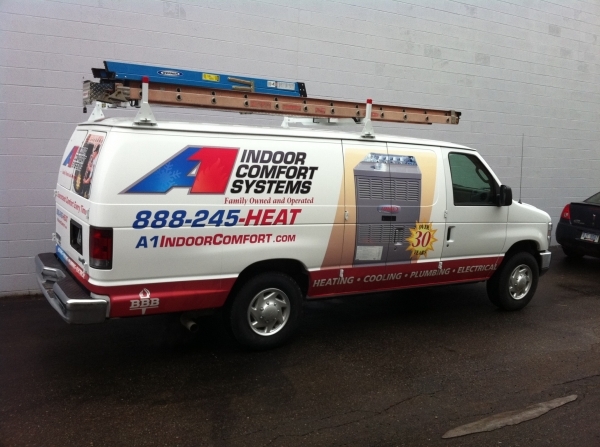 Vehicle wraps can give your business the same type of exposure to potential customers. While your drivers are unlikely to be televised as they travel around town, they are highly visible to in-person “viewers.” Moreover, each of the trucks, cars, or vans your company owns are dedicated exclusively to marketing your products and services. A bold car wrap design, precisely installed by the professionals at Perfect Impressions Graphic Solutions, can give you the edge when it comes to capturing customers’ attention. 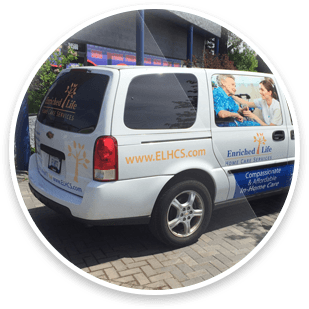 We can convert any high-resolution graphic or image you provide into a protective, promotional vehicle wrap. Go beyond the standard paint colors and convert your company cars into distinctive canvases with car wraps from Perfect Impressions. Drivers stuck at the junction of M-150 and M-59 during a major backup may not be thrilled about the situation, but at least a traffic jam gives them the chance to look around—and the opportunity to see your company truck or van. Take advantage of the traffic congestion to clearly display your business’s name, logo, and sales message with stunning vehicle wraps from Perfect Impressions. We’ll keep your business moving forward—even when traffic is at a standstill. Get the best deal when you purchase a custom graphic solutions package, get your quote now. Call 800.974.4699 for the best package deals on custom graphic solutions. The contents of this webpage are Copyright © 2019, Perfect Impressions. All Rights Reserved.